Inflammation is a serious issue that affects and controls most of our lives. Have you ever experienced or dealt with pain, obesity, diabetes, heart disease, stroke, migraines, thyroid issues, dental issues or cancer? You’re most likely dealing with inflammation. How do you deal with inflammation though? Most doctors recommend pharmaceuticals, but that’s not finding the root cause of your discomfort. Unfortunately, prescriptions will only suppress the immune response and not necessarily treat the underlying cause. Let’s set the record straight. Inflammation is pretty normal and can also be beneficial to protect your body against foreign invaders such as viruses and bacteria. When this inflammation gets out of hand is when there is cause for concern. Chronic inflammation is directly linked to diet; refined sugars, trans fats and processed foods only fuel it. Let’s look at the role that turmeric can play on the part of inflammation. Research shows that turmeric has powerful anti-inflammatory, anti-tumour and antioxidant properties. 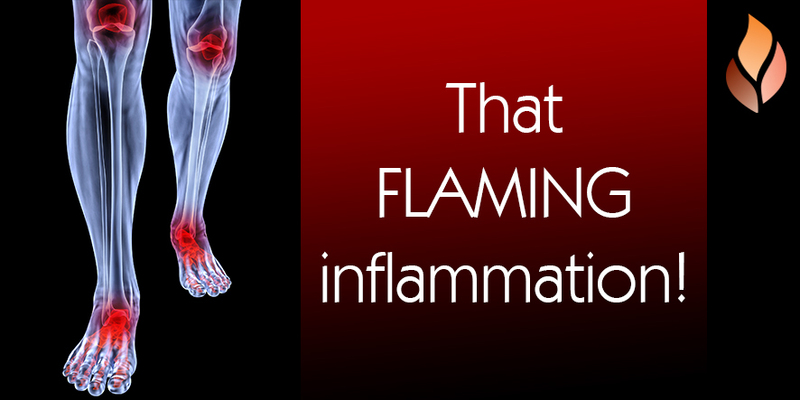 Inflammation, if left untreated, can become a chronic health issue. Unlike pharmaceutical equivalents, turmeric’s curcumin reduces inflammation naturally, without damaging the liver or kidney’s. As well as incorporating anti-inflammatory foods and spices into your diet, detoxing can reduce inflammation. We detox to rid the body of the toxins inside us that are stored in the liver, gallbladder, lungs, kidneys and numerous other places. Consequently, these toxins can even be sneaky enough to cause aches, pains and inflammation. Looking for an easy first step in reducing inflammation? Check out Bonfire’s very own, all natural anti-inflammatory containing turmeric, curcumin and black pepper!